On May 31st we met at Allen’s outyard, selected our queen rearing colony and set it up with the cloak board. On June 3rd, we grafted from the tailgate of Allen’s truck. Allen practiced on 5 cups and grafted 5 cups, Kristien grafted 15 and Liz grafted 10 cups. 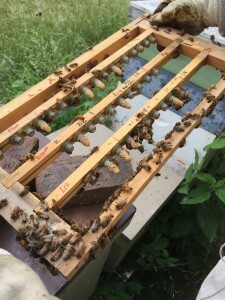 On June 7th we checked to see how many grafts had been accepted by the bees. Each of us met with success! 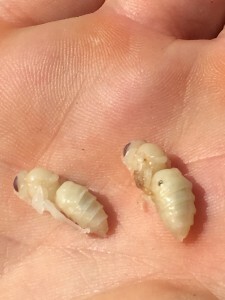 A total of 12 grafts had been accepted and capped. 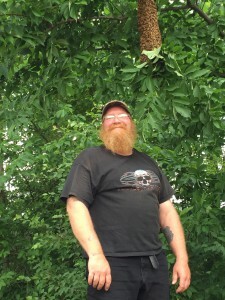 It was also an exciting day when Kristien noticed a swarm and Allen hooked up his winch and shook the swarm into a box! 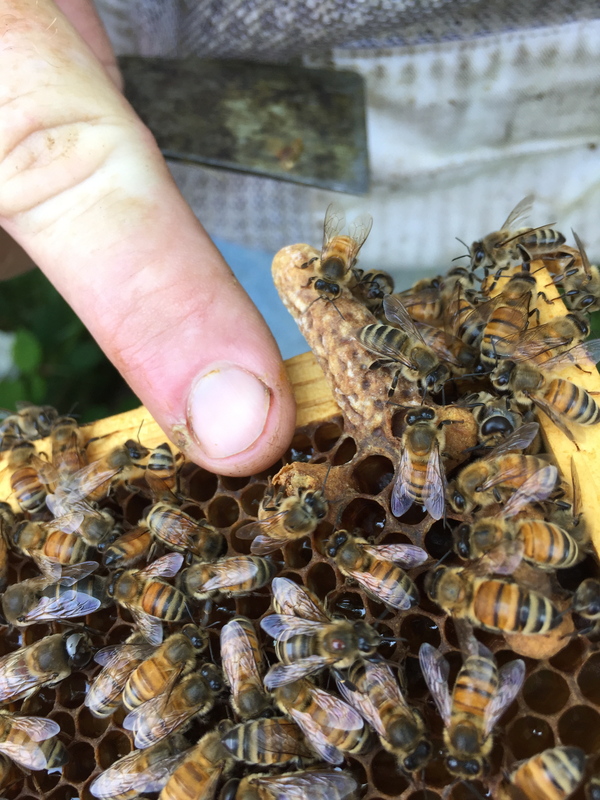 On June 12th, we harvested the queen cells. 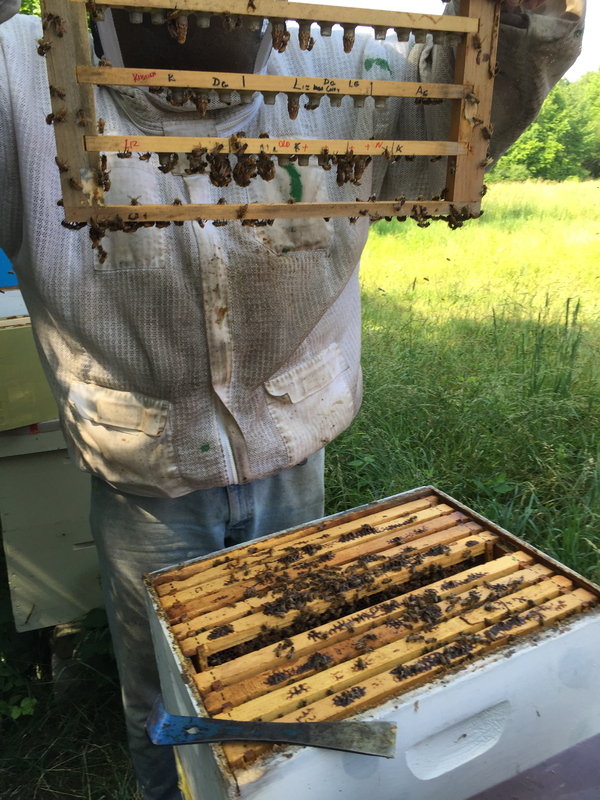 By the end of this day, we had 2 virgin queens, an incredible naturally made queen cell and 11 grafted cells. We opened a couple cells to see what stage of development they had reached at this point. Kristien, please fill in here how the virgins and grafts were distributed. On June 20 we located and marked one of the Q5 queens in a nuc at Kristien’s. the queen that got dipped in orange is still in the hive, but no brood. She may not have mated and is now unable to fly. That one needs a new queen for sure! 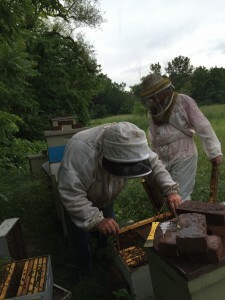 Allen installed the natural virgins in his hives, I installed 2 cells in laying worker nucs. One did not hatch, the other got dipped, unfortunately. Another set was installed in a nuc, and looks like the one pictured. That one is doing well, but a bit defensive. Another went into formerly George, and I have not yet checked that one, but it looks active from the outside. Another went into it’s own nuc, and has not yet been checked. 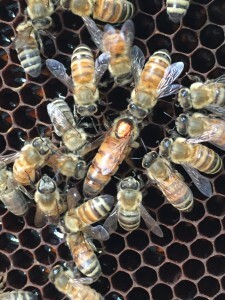 I am a little at a loss in how to keep track of lineages, if not by color coding the queens. Some people advise to write on the inter portion of the lid. I cannot wait to try again! 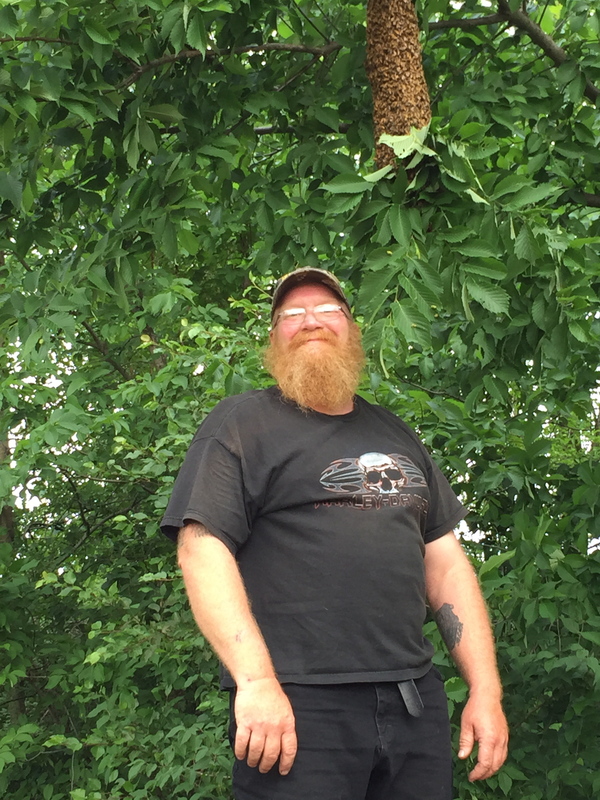 ← Another Day, Another Swarm!